Dr. Ahmadpour has a decade of experience working in the Psychiatric Emergency Room as an attending physician witnessing the pain and suffering in families who have been afflicted by it through mental illness and addiction. Furthermore, he was an Associate Professor at Keck School of Medicine. 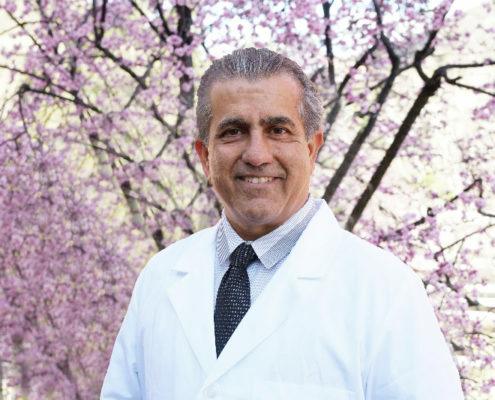 Dr. Ahmadpour has a genuine and authentic connection with his patients which he has cultivated over many years of experience as both a physician, and having lived on three continents. Dr. Ahmadpour believes in the goodness that exists within all people naturally, and he sees his calling as a means to help bring out the best in people, especially with his patients that are most in need of his experiences. One of the reasons for his empathy with his patients that are addicts, is that he experienced the hardships and loss that it can create with families when addiction is prevalent.